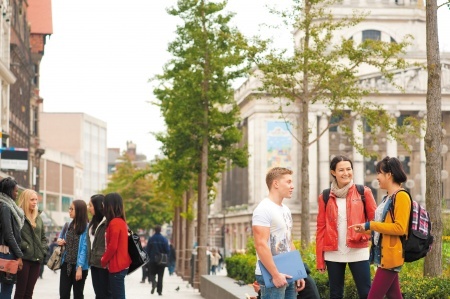 Welcome to the new Off Campus Blog for the University of Nottingham. Off Campus Student Affairs is a department dedicated to working with and for the many University of Nottingham students who don’t live on campus and instead live within the local communities of Nottingham – principally in Lenton, Dunkirk and Beeston. We’re going to be bringing together lots of interesting and helpful content for our students who live off campus in our local communities – from handy hints on crime prevention to guides to what’s on where you live and recommendations from fellow students about the best places to visit. We’ll also be discussing things which come up in the news, locally and nationally, which have an impact on students living off campus. The University has lots of great links with community groups and organisations, and we’ll be using this blog to let you know about all of the fantastic events and campaigns we’re involved with – and letting you know how you can get involved too. Look out for regular posts rounding up What’s On Off Campus. We’re also excited to be bringing you blogs from students who are currently enrolled on our PR Project Management Module over the coming weeks. They’ll be talking about their experiences of putting together a campaign to promote neighbourliness in the community between students and permanent residents. More on this soon – watch this space! If you’re a student living off campus and there’s something you’d like to share, please do get in touch with us. We’d love to hear about any events going on which involve students and the local community, or about your personal experiences of being a part of the local community you live in here in Nottingham. We’d also love to know if there’s anything in particular you’d like to hear about in the Off Campus Blog, so do leave us a comment! Grill the Police and Crime Commissioner – Without Leaving The House!